Berlin/Weiler. The director of the ARCHE addresses a speech to the German Federal Committee for Legal Affairs and Consumer Protection on the occasion of the referral of the motions of the FDP faction and the DIE LINKE parliamentary group of March 15, 2018 concerning the establishment of the exchange model. Panacea for separation and divorce children found ? Heiderose Manthey, who together with the editor-in-chief of KGPG, Bobby Vander Pan, was at the scheduled reading in the Bundestag, inquired with the Committee on Legal Affairs and Consumer Protection on the schedule of deliberations on the motion of Deputy Katrin Werner, dr. Petra Sitte, Doris Achelwilm, another member of the parliamentary group and DIE LINKE, focus on the well-being of the child – No stipulation of the change model as a rule model, BT-Drs. 19/1172, and on the motion of the Deputies Katrin Helling-Plahr, Roman Müller-Böhm, dr. Marco Buschmann, another member of parliament and the FDP faction, living Separately – educate together: introduce family law change model as a rule, BT-Drs. 19/1175. At first reading, these requests were referred to the Committee on Legal Affairs and Consumer Protection, but so far have not been proposed by the political groups for consultation in the Committee. In that respect, no information is available, Claudia Kynast, of the secretariat of the Committee’s administration, says if there will be a public hearing. Unaffected, the kid – eke – pas expert turned to the chairman of the committee, Mr Stephan Brandner (AfD), lawyer, committed to the International Society for Human Rights, to whose deputy, Prof. dr. Heribert Hirte (CDU / CSU), Professor of Law at the University of Hamburg, to the full members and their deputies with subsequent speech. Note: The essays by Prof. Dr. Aris Christidis, Dr. Andrea Christidis und Jochen Wagner¹ are available in the legend as download. I am very concerned about the health of our separation and divorce children, who in turn become fathers or mothers, presumably without sufficient therapy that could have cured them of their traumatization. Early childhood traumas do not just pass with time. On the contrary, they decisively influence the later relationship life. There is sufficient scientific research to confirm that the biological parents can not be replaced. The biological parents have the most profound and profoundly crucial key to the health of their children. The worldwide study results are summarized in the Neue Zeitschrift für Familienrecht, NZFam issue 21/2015. Moreover, according to our findings, it is far from sufficient to find the best post-separation and post-divorce model for the children and their parents and to enforce it at the political level, but it is essential to see the crimes, ie the possible crime which are carried out before, during and after the act of separation, which also subjects children of separation and divorce or children taken out of their families and their parents in one of the most vulnerable life situations. Those affected by many years of bitter experience with the courts as „experts of kid – eke – pas“, fight on behalf of thousands of fathers and / or mothers in our time in court battles to preserve vital ties and relationships with their children. They show in public and under growing pressure and threats – on them as whistleblowers – how prosecution is consciously generated and purposefully undertaken by the courts. In a literal sense of the word „heartbreaking“ separation situation „on the mind and reason“ of the participants to put similar to the saying „there are also reasonable parents!“ – as in the debate on March 15, 2018 before presented to the Bundestag by members of the Bundestag – can in the worst case completely fail, because the family was severely hit and injured in the heart of a separation or divorce, and at this point all emotions boil up. Report the emotions: A life-threatening situation exists ! And especially with „reasonably“ acting and „reasonably“ acting separation parents, the crimes do not even come to the children when they deprive them „legally and reasonably“ of the children one or more caregivers, without ever a judge of it get something would have. It is silent about the taking place (criminal) robbery of important caregivers from the lives of children and the subsequent alienation, just emphasized to own Justification Mantrenförmig (in front of the ears of the children) how terrible the other parent was. With every separation, even with painful, emotionally open separations, the highly complex interaction of feeling, heart and mind is completely challenged / overburdened and not all people have learned during their socialization to hold their feelings in extreme situations in the hand. From whom too ? The judiciary, which was charged with facing these cases by law, calls these situations „high-conflict“. That says it all: The judiciary will not cope with these conflicts. She is overwhelmed. People who react extremely emotionally, because deeply wounded, in these crises, with these people could have broken old, experienced in the family, dormant and as yet unresolved war experiences: Unprocessed feelings of previous generations like leaving, being displaced, panic (emotional) starve to have to, to lose home and farm and home, could determine the action in these moments. If that were so, then the people whose wounds are deepest, on top of that would be punished by the withdrawal of their children, their one and all, in separation situations, in extreme cases even for life. And in this phase of their life, which is probably their highest calamity, dividing people are also exposed by law to a situation that threatens to crush them: completely unleashed and untrained lawyers (not treated and therefore still projecting) are released on these severely injured people. That is the crime of human rights violation ! People whose hopes, whose goal in life was to start a family, to have children, to see them grow up, to be able to love and to grow old with them, whose entire lifelong dream and life content is suddenly and possibly even abrupt Separation or divorce burst, extinguished, nullified. From one day to the other, this high life goal can be destroyed by internal or external circumstances, as the family members are no longer able to sustain and continue the relationships in the changed mode. And these people, who now only hang by a thread on their own lives, on their children or grandchildren, whose desire is – come what may, to continue to see and love their loved ones. And this brittle thread is now also cruelly cut off by the youth welfare office and by justice. The last connection was cut. The entire life content destroyed. Life senseless like never before. Some kids will never come back after such a cut! If parents in separation situations have to play each other out because they can no longer see any possibility of psychological survival or material existence and then have to resort to lies – for fear of their own demise – then that is already an indictment of all of us. People have apparently not learned how to bring their lives into a comfortable balance, i. to bring themselves and their lives under control. Here is a great need for education as a task for us all and especially for the schools of our country. And lies in family courts are not only used by poorly socialized and poor families. This technique extends to the celebrities, lawyer, politician, scientist, psychologist and doctor affected by the breakup! Ultimately, the judiciary has no sufficient instrument in hand to resolve peacefully the conflicts of the family in separation and divorce in the interests of those involved. Consequently, they split individual (unwanted) family. Members of the living organism of the family and use in punishment of orders appropriate measures of punishment – only because it. So far allegedly there is no proven means to really pacify the individual family members and to be able to receive their parents from the children and adolescents. Germany urgently needs a tool that can be salvaged and effective at this point without divorcing the after-separation family completely, making lies in front of the family courts a reality, and being additionally verified and manifested through the Justice and Youth Welfare Office the involved (business) experts are not able to really differentiate one from the other, or because they do not want to distinguish it at all. A revision of all processes is almost impossible over the years lost, because the falsehood is immovable. An office confirms the error / lie of the previous process as correctness. In the worst case, there are cases whose gruesome torture fates, brought about by the youth welfare office and the judiciary, take place over 20 years in the courts and leave deep, deep wounds. If you’re lucky, you’ll get scars. Some people are driven into sickness, into suicide, during the struggle for the love of their children against a merciless and cold judiciary. Murders in the hopelessness of separation and divorce situations are reported by the press again and again. Just the thought of the approaching disaster and the fear of these powerful decision-making devices and decision-makers can be triggers of ominous and bloody family dramas. Is there a solution and who can find it? Some freshly separated „fall into“ second to none without first being treated for their traumatic experiences of their first marriage and make new children there to fill the painful gap in their lives with just life to find a new meaning to themselves to be able to continue living at all. But these relationships can be just as fast again tear up and the next marriage and the next child stand as a replacement again. Parents cut off from their children are literally forced to „forget“ their children from their first marriage, from their first love, if their care or visiting rights have been taken away forever. What sick brains actually judge the sick brains of others ? Some sufferers, in search of their children, end up in jail for „disobedience“ to the judiciary because they do not want the judiciary to cut themselves off from their livelihood, their children. The longing for bonds burns every day! Therefore, they ignore imposed prohibitions of rapprochement, boycott visiting rights, refuse alimony payments, go on a hunger strike, etc., to draw attention to their distress with their protest. These cries for help are also often misunderstood. If one parent with his allegations / projections / lies about the other parent goes to court, the other parent is helpless. If the supposedly weaker, because not controversial parent then still has to protect his children, because they are abused by the warring alienating parent, he is forced to lose for the sake of children, even in court. Inevitably he is exposed to a legal and social denunciation. ARCHE accompanied with her trade magazine ARCHEVIVA, which was founded especially for the overcoming of kid – eke – pas, ia. also the psychologist MA Dr. Andrea Christidis, the affected father Prof. Dr. med. Aris Christidis and the affected father and psychiatrist, doctor and psychotherapist Jochen Wagner (name changed by the Red.) Over several years in one-on-one talks under an enlightening journalistic background, also with spontaneous interviews by video from the European Parliament and from the courts. Straight Dr. Andrea Christidis faces the fight under the guise of „child welfare“ against the abuse of children by pedophiles and pederasts. It fights against the fact that even more „food“ from families is taken out – also for the maintenance of pedophilia among judges, politicians, social workers, public officials in churches, etc. In the appendix a short vita of the three protagonists is put together, which includes their concerns, tasks, life experiences with the courts, youth welfare offices, assessors and embassies. Invite the three proposed kid – eke – pas experts, experts in legal and psychological fields, into the Committee on Legal Affairs and Consumer Protection and give them their voice because they can be affected both by being personally affected by being tortured – and relationship break to their children as well as from a scientific point of view the problem and the business with the „child welfare“ from outside and inside illuminate. Prof. Dr. Aris Christidis, dr. Andrea Christidis and Jochen Wagner (name changed by the editor) have u.a. 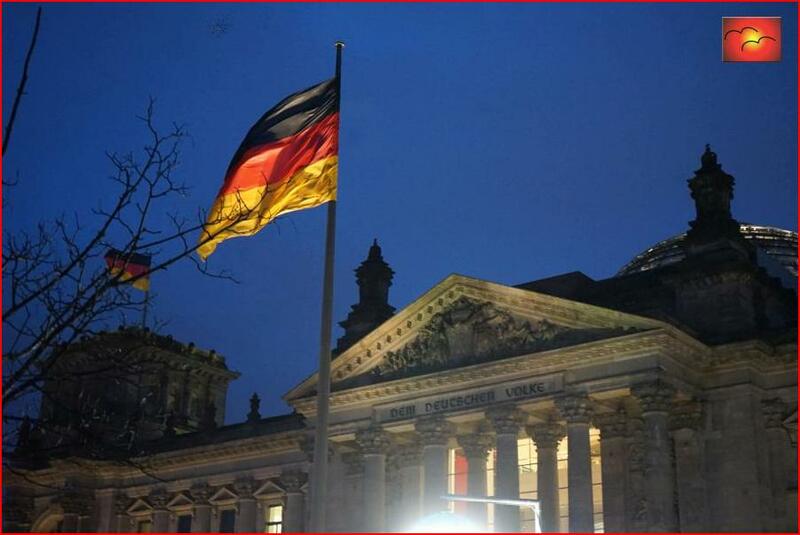 Representing many the destructive rage of the German courts in an unprecedented sacrifice, the (criminal) acts, which after child robbery [not only] in Germany – parent-child-alienation – Parental Alienation Syndrome arise, show and openly explain to all. Torture caused by arbitrary uprooting must stop! I would like to emphasize at this point that even in „intact“ families, marginalization of family members, e.g. Grandparents, siblings etc. can take place. If a family can not resolve a conflict within its own ranks, then it splits – in the manner of the state judiciary – in their eyes „disturbing“ family members in their own justice. A disturber in a family, however, is always an expression of this family itself. Often, however, no (family) therapy is made. Because this is still largely subject to the shame and fear of those in need of therapy. Then it is better to seek a guilty party, to name it and to publicly pillor and thus to exclude. That Parental, grandparent alienation and uprooting also take place in families who are NOT in separation and divorce situations. Again, the children are deprived of important mirrors of their natural identity. Socialization according to the model of justice also circulates in society! And no one is surprised that „excluded / disenfranchised / non-violent“ are also insulted, laughed at, denounced. What remains is murder and suicide, even in installments by drowning in alcohol, pills, psychotropic drugs, drugs, addictions of any kind. Wenn den Kindern durch die Wegnahme von lebenswichtigen Familienmitgliedern signifikante Vorbilder aus ihrer eigenen Familie abhandenkommen, so ist dies ein Verlust für ihre eigene Identity finding and resembles a catastrophic uprooting with subsequent consequences over generations! The missing love parts of the father, the mother, the grandparent warmth, the siblings must be brought in with the help of surrogates into their lives so that they do not „starve“. The search (addiction) begins. Do not give the children of our country any models that continue to favor crimes under the guise of politics, the youth welfare office and the judiciary, but heal the families, so that we can understand again what it means strength, security and love of small to be able to experience and become truly big and strong in it. A child needs his dad and his mom. Without these two, it is a leaf in the wind. A child needs his grandparents, a solid trunk and deep, deep roots. A child needs love, security and a free growing up in its native environment, it needs its sheltering nest to be allowed to radiate inner peace. We can assume that all over the world, where uprooting is due to separation and divorce, through war and displacement, severe wounds on families, the souls of grandparents, parents and children are being struck. Germany in particular should be able to know and understand this in the face of its history. The wounds caused in the war by the loss of our fathers and grandfathers, mothers and grandmothers who are left alone, are far from cured in our experience, as well as the murder of other fathers and grandfathers who were once enemies of the war. Wars and wars of the Roses rob the children of their parents. But children can only be satisfied in their true hunger by their fathers and mothers, by their grandfathers and grandmothers, and trained in their true identity. Precisely for this reason, it is the duty of a war suffering with causal and war suffering Germany to avoid the effects of family division and family eviction. Everywhere, where the family organism is intervened by violence and killing, wounds are created. Children are traumatized, parental and helpless. Every uprooting has its consequences, its effects on the health of homeless, uprooted people. Wars and conflicts are at the forefront of creation, whether brought to fruition in a country or in modified form as a „rose war“ in families. Division of a people, division of a family is ultimately a sign of weakness, because no one could recognize the core of the dispute and could or would lead to healing. Cleavage is not a solution, it is a suspension, the persistence of the wounds, a smoldering underground of a conflict that breaks out again and again. And so again: Germany needs a model that avoids wars between countries and wars in families. A model that is able to settle. A model that heals! Precisely for the world, we must set an example with a model in which every effort is made to avoid ties of demarcation and tears in people, to find their inner and outer peace and to live. We are able to do that with our knowledge. OUR CHILDREN NEED OUR HELP NOW ! Together, we need to bring about a comprehensive reform, a paradigm shift unlike anything the world has ever seen. People are no longer to be punished for the mistakes and cravings they carry, but to be encouraged and encouraged to bring them missing into their lives. We need concepts for the return of separation and divorce children to their parents, grandparents, and their families. We need concepts for the repatriation of displaced persons to their home countries. We need concepts for the healing of broken families, broken countries. We need sustainable concepts for avoiding wars and living in peace on this earth. Restoration of their material existence, which was lost by conducting court cases, paying lawyers, loss of profession and reputation etc. Immediate end of family reunion, because this most cheeky political lie is a renewed destruction, a renewed alienation and uprooting of people, another crack of already existing bonds, just in another place ! Any family members will always have to be left behind on „follow-up“. And these are wounds, bleeding wounds! Who is supposed to heal these wounds of those who have been uprooted by „succession“ and robbed of their homeland, their parents, grandparents and siblings ? Alienation through organized displacement is a war crime ! Alienation through organized division is a human rights crime. As far as we know, the mothers, fathers and grandparents separated from the judiciary and youth welfare office are not asked by our politicians to „join us“ ! On the contrary, they are punished by „approaching“! How schizophrenic is that ? It is entirely in your hands now! Those deprived of their children began to form associations, associations and worldwide networks out of longing for their children. They were tortured by taking on the strain of trials, sat in dungeons, starved, demonstrated, … a champion hanged himself in the basement of his house, another shot himself … – the row of victims is to be continued. At any rate, the dead will never see their children again. But the others could, they could one day see their children again or maybe even embrace them again. However, when the last spark of memory is wiped out in the children, there will be no reunion. We have no time to lose ! A memorial is already erected. A memorial reminiscent of the war in the families brought about by their own state. We have documented. Out of sheer despair over the failure to provide assistance in almost all social, political, legal, and secular instances – including the Federal Chancellor and the International Criminal Court – and the church authorities and even the pope, ARCHE finally turned to the President of the United States of America, Gregor Gysis speech before the German Bundestag from the year 2013. The call for help „Heiderose Manthey to Donald Trump“ was sent on December 31, 2017 to the American Embassy in Berlin and directly to the White House in Washington. Currently the translations are running. The texts are translated into all conceivable languages ​​by parents and grandparents deprived of their children and grandchildren. The translations are gradually being sent to the governments of the respective countries. For bi-national marriages are as much affected by child robberies as marriages by partners with the same nationality. The countries of Japan and China will also be informed of the human rights crimes, because children were also robbed or deported to these countries. In any case, the Länder must be informed what is understood here in Germany by the term „child well-being“ in order to work together against alienation. The chancellor has already been given to let this term be defined. Definitely no more sacrificing people for power ! Germany, after being devastated by the war, has distinguished itself worldwide by providing unspeakable services to an inner and outer one. Total destruction. Our fathers and mothers rebuilt this land from scratch. Achievement, but this must not be the remedy of unspeakable and unprocessed war horrors, but must be transformed into love, in love with the people in the country, to which alienation, expulsion, escape by their own ancestors has happened just like the politicians described here , Whether you have had therapy or are under an unspeakable pressure to perform, I do not have to learn, but pronounce it. Let us give to man what man is! The basic guarantors of a good life, a peace in the world, these are the life of every single man in peace in his homeland, in the bosom of his family ! Our model of Germany to be drafted could be the beginning of the decisive reform for the DACH states and also affect Austria (Fathers without rights) and Switzerland (Swiss Father Movement). Let’s start in Germany – in the knowledge of the basics given here – to build a concept for the future of all people on this earth. A concept that radiates to all countries of the world and creates real peace, peace in the hearts. We are able to do that. And so again: you have it in your hands and we with you! Let us do this together, NOW ! P.S. : ARCHE behält sich vor diese Rede an den bundesdeutschen Ausschuss für Recht und Verbraucherschutz zur Veröffentlichung zu bringen.